I’ve never cared much for looking at representational art. But making it is another matter. For some reason, art that strives to replicate nature has never held much appeal to me as a viewer. It’s always seemed like a parlor trick to me—a gimmick of sorts. It’s an illusion, and nothing more. If an illusion of reality is all you are after, use a camera. But I’ve always fantasized about being a painter. The idea of working with colors—physical colors—and making images with them has always captivated me. I’ve experiemented with it here and there—I actually explored the possibility of studying painting in college before being (rightly) steered to graphic design. But every time I tried to create an image—abstract, of course—I was faced with the so-called “abyss of freedom.” I can paint anything, use any colors, in any sort of composition. I had no guard-rails—no constraints to lean against, other than the avoidance of representation. Unsurprisingly, these vague, listless endeavors usually didn't yeild very interesting results. 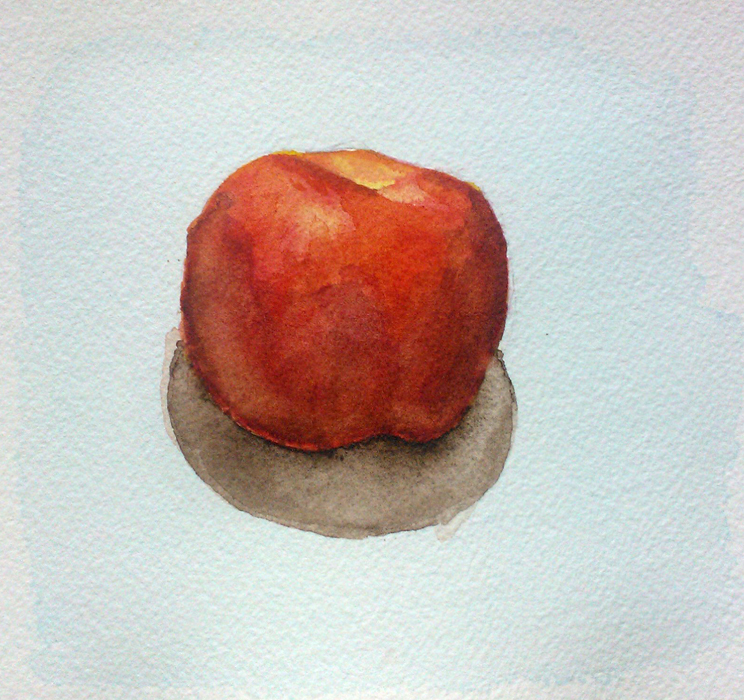 Recently, I’ve been curious about watercolors—mostly because the materials are cheap. 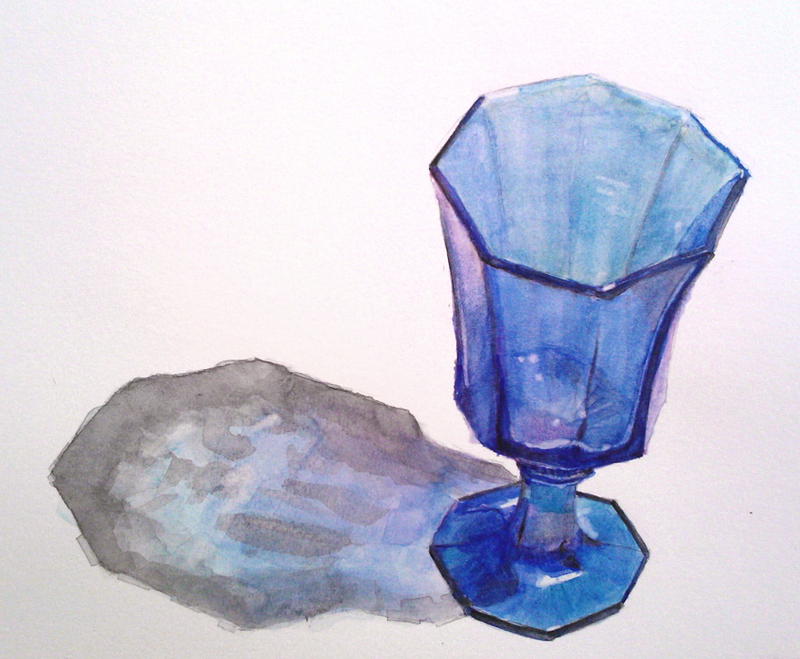 A few days ago, I sat down and painted alongside my mother, who has been painting with watercolors as a hobby for several years now. She showed me the ropes, and helped me through the basic process and techniques of working with the medium. Then something very surprising happened—I found myself enthralled with the process of creating the kind of painting I thumb my nose at. I’ve long held the opinion that music that is satisfying to listen to is different than music that is satisfying to play. I often wish we had more opportunities in our culture for music-making that were less pretentious, where the expectations weren’t so high. Music-making is a delightful thing, even if what you’re playing won’t sell any records. I suppose I’m realizing the same goes for painting. There’s something exhilarating about rebuilding an object, re-constructing it, re-representing it’s light and shape through color on paper, rather than simply “capturing” it with the lens and sensors of a camera. Rules and guard-rails abound—make it look like the thing you’re painting—but as we all know, constraints are a great boon to creativity. Despite my feelings about them as on observer, illusions are magical—and creating one is immensely—and surprisingly—satisfying.